Welcome to the Asian Room. All of the following specimens come from the largest land mass on Earth. More new specimens are flowing out of this land mass than from anywhere else - particularly China, Russia (Russia has its own themed room) and the Afghanistan/Paksitan pegmatite regions. 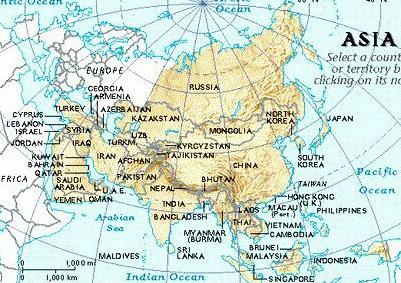 To learn more about some of the countrys of Asia Click here.